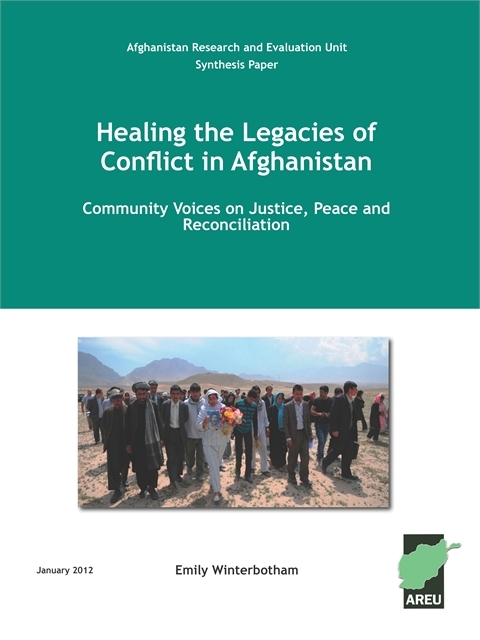 This paper synthesises the findings from AREU’s Legacies of Conflect research project from across the Bamiyan, Ghazni and Kabul research sites, in search of broadly acceptable approaches to address the legacies of conflict and support reconciliation in the country. It also examines the political context for transitional justice and reconciliation and considers which policies might need to be changed or adopted. The research found that many Afghans continue to struggle with the legacies of their wartime experiences. They usually saw peace and justice as complementary, and not as alternatives to each other. Justice was often widely conceived to include processes of recognition and recompense, and not simply criminal trials or punitive measures. There was a widespread desire for a strong and caring government that could drive a justice process and also negotiate for a peace that would not only end the insurgency, but reconcile Afghanistan’s different groups. However, a widespread pessimism prevailed about the prospect of this occurring in the near future. In the meantime, certain initiatives—whether locally-driven or at the national level—have the potential to provide a measure of comfort to conflict victims while paving the way for a more enduring peace.